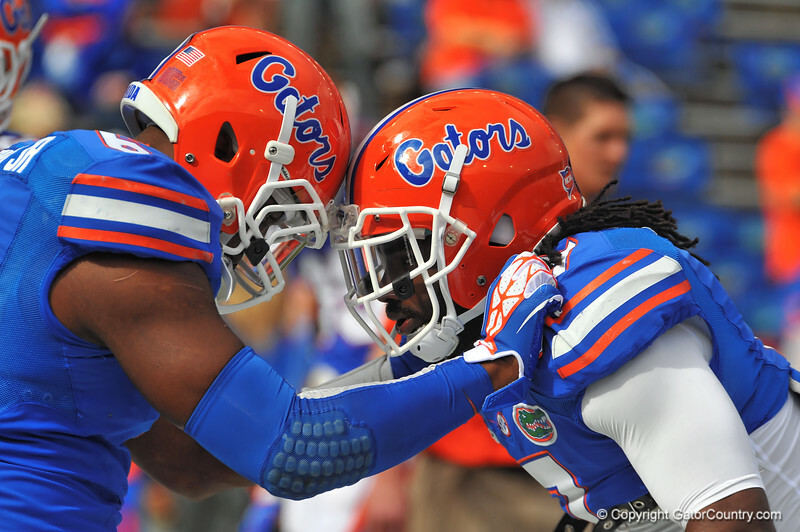 Florida linebacker Ronald Powell (7) and Dante Fowler (6) during warms ups. Florida Gators vs Florida State Seminoles. Gainesville, FL. November 30, 2013.